Like most buying decisions, a life insurance policy comes with a set of confusions – what is best, what to avoid and what tips to keep in mind. Since life insurance is a contract that spans many years or decades, you should spend time to understand your insurance requirements, consider options and interpret the rules, so you can make the most of the policy. 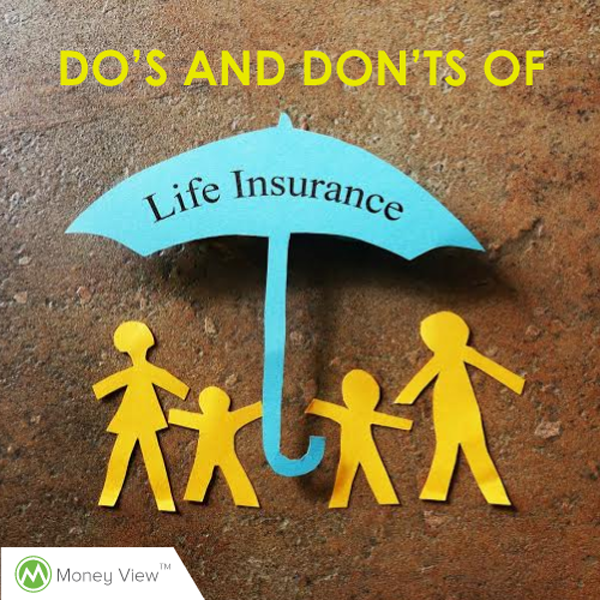 Let’s review life insurance buying strategies to recognize what to do and what not to do before signing up for a life cover. Research – Be aware of the spectrum of options available. You could be saving a large chunk for the same coverage. Compare insurance policies and buy online (Ex: policybazaar.com). Check on insurance companies – look for complaints/ consumer forums – you don’t want to buy a policy from a company that has too many disputes or a bad track record. Read – Buying a policy without reading the Terms and Conditions is more likely to harm you at a time when you need the coverage the most. You need to do this only with your final shortlist of life insurance policies. Especially read through the fine print where certain caveats linger. Free-look period – If you feel that you haven’t taken the right policy, you can utilize the 15 day free-look period which allows you to return the policy. You will get a refund on the premium paid after pro rata adjustment. Subsequently, buy an insurance policy that suits you best. Payment options – Annual, monthly or one time – choose a premium payment option that you are likely to keep up to. Opt for an auto payment or an ECS to avoid delays or non-payments. Buying life insurance for tax saving/investment – While there are many agents and ads that will tell you about ‘investments’ and ‘returns’, you should know that the prime objective of life insurance is for protection. Yes, life insurance offers tax benefit on the premium amount under section 80C of the Income Tax Act, but as an investment tool, it mostly offers a lower rate of return than other debt instruments like PF or FDs. Information disclosure – Any information that is found to be concealed can be grounds for revoking benefits of the insurance policy. All premium payments done so far can also be forfeited. So keep in mind to disclose correct information and don’t sign any blank forms. For single or children – The purpose of life insurance is to take care of dependants. Singles with no family and children under the age of 16, normally do not have any dependants and therefore do not need life insurance. By paying attention you can avoid small mistakes while buying Life Insurance that can result in big losses. Be aware, to be secure!